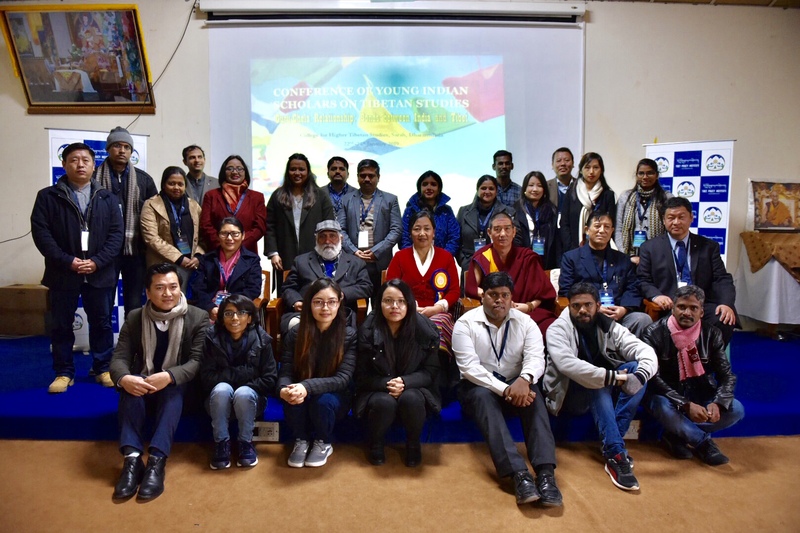 Dharamshala: Chief Guest Kalon Dr Pema Yangchen, Department of Education, Central Tibetan Administration inaugurated the first conference of Young Indian Scholars on Tibetan Studies being held at the College for Higher Tibetan Studies (CHTS), Dharamshala from 22-24 January. Special Guest Dr Kuldip Chand Agnihotri, Vice Chancellor of the Central University of Himachal Pradesh, Director of Tibet Policy of Institute Tsering Yangkyi, Director of IBD and Sarah College Geshe Samten Gyatso, Deputy Director of Tibet Policy Tenzin Lekshay were present at the inaugural session. The conference is being attended by 22 participants comprising of Professors, Assistant Professors, PhD and M Phil from 13 different universities and institutes like Madras University, Saheed Kshudiram College of West Bengal, Manipal Academy of Higher Education, Gandhigram Rural Institute, Indian Institute of Technology of Madras, Nalanda University, South Asian University, Delhi University, Punjab University, Jawaharlal Nehru University, Vivekananda Institute of Professional Studies of New Delhi, and Banaras Hindu University. In her keynote address, Education Kalon emphasised the importance of education and its impact in bringing forward transformation, progress, and innovation. Those who have been fortunate to successfully receive an education have the responsibility to contribute to one’s society, she said. She further highlighted details on the role of researchers and the dichotomy of research methodology by sharing the experience of her doctoral research. Special Guest Dr Kuldip Chand Agnihotri in his inaugural address mentioned about the relation between India and Tibet tracing back to the period of Buddha. Emphasising the slogan of “Tibet’s freedom, India’s safety” he reminded about the 1962 war, he further elaborated on the changing phase of India’s policy on China. 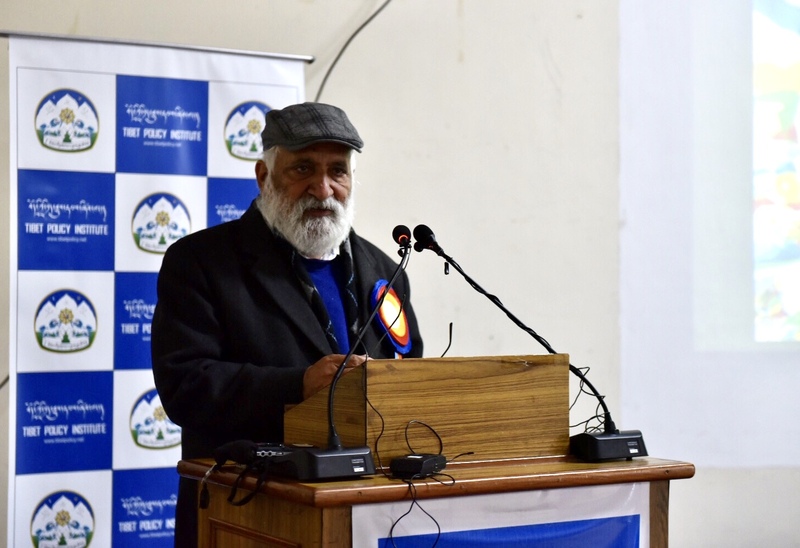 Dr Agnihotri stressed the significance of Tibetan issue by touching upon the border issue India facing currently throughout the Himalayan belt. He urged Tibetans to follow the path of truth so that one day it will prevail. Tsering Yangkyi, Director of Tibet Policy Institute gave a welcome speech where she briefly explained about the bond between India being Guru and Tibetan as Chelas. Lauding the participation of Indian scholars in the conference, she acknowledged the kindness and hospitality of India in giving shelter to Tibetans for over 60 years and said India is the second home for the Tibetans. Tenzin Lekshay, Deputy Director of Tibet Policy Institute gave a vote of thanks at the inaugural session. 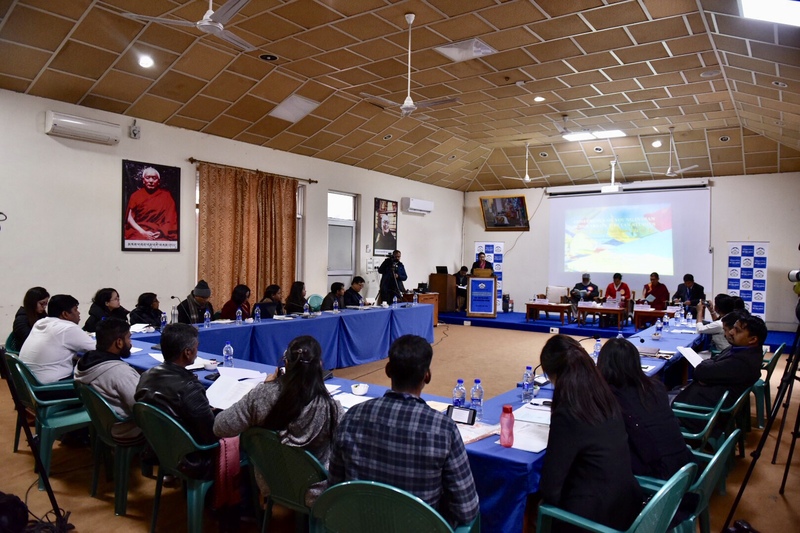 Three days conference with seven interesting and interactive themes ranging from a bond between India and Tibet to Tibet in diaspora imagination will be discussed. 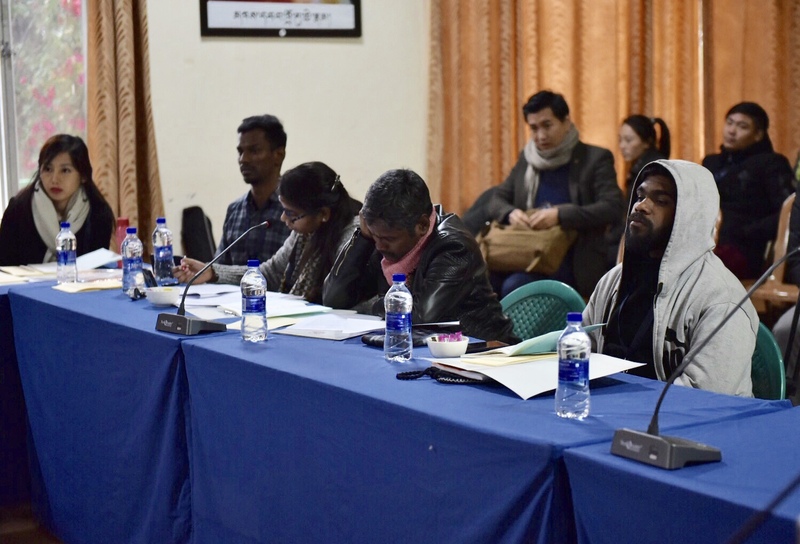 Young Indian Scholars on Tibetan Studies is flagship event of Tibet Policy Institute of Central Tibetan Administration and it will be hosted annually.